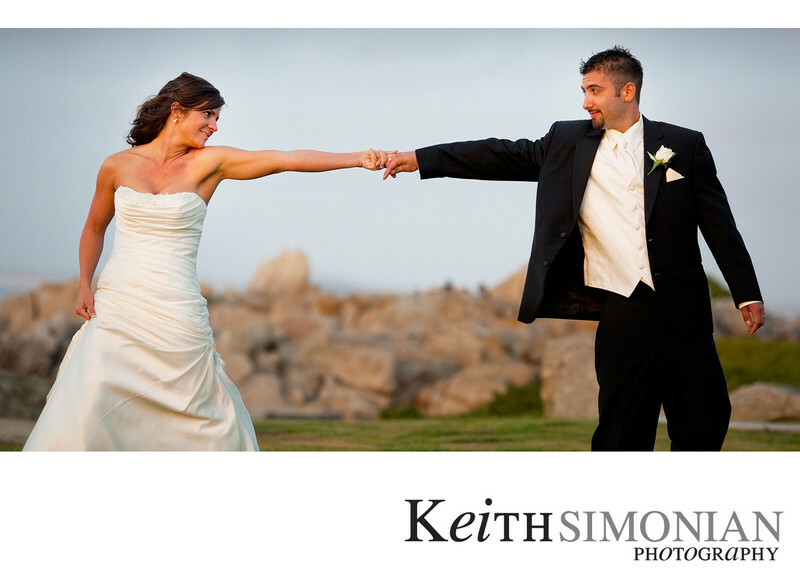 Lovers Point in Pacific Grove offers many magical backdrops for a wedding day couple to incorporate into their images from the day. Here the Bride and Groom reach out towards each other and hold hands with the Pacific Ocean in the background. More adventurous couples can go down to the beach and be photographed with the sand between their toes and the waves crashing on the beach. Location: Lovers Point 630 Ocean View Blvd, Pacific Grove, CA 93950.